Hello Friends! We are back from our week long trip to Chicago and I still feel like I'm playing catch up. The summer just seems to be flying by, but it has been relaxing and fun so far. We are looking forward to all of the 4th of July festivities over this long weekend! One thing I do know for sure is that some summer beer will be had this weekend! My friend and neighbor started making us summer beer when she moved in last year, and we have all taken a liking to it. What's not to love? It has two of my favorite things in its title! It's simple to make, refreshing, and a good switch up from regular beer (which is usually my adult drink of choice). *Add one can frozen lemonade concentrate to a large pitcher. 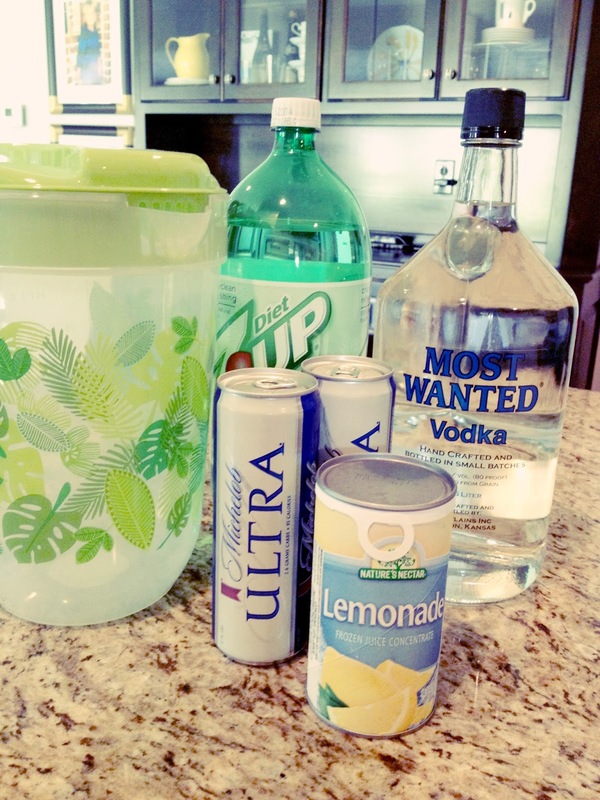 *Fill the lemonade can with vodka (Most Wanted is made in the KC area!). *Add an entire 2-liter of sprite/7-up. Stir until combined. *Once fizz has settled, add two cans of beer. DO NOT STIR after you add the beer! *Chill in the fridge and serve over ice. Your neighbors/friends will thank you! Steve and I hosted a backyard party a few weeks ago and served summer beer. 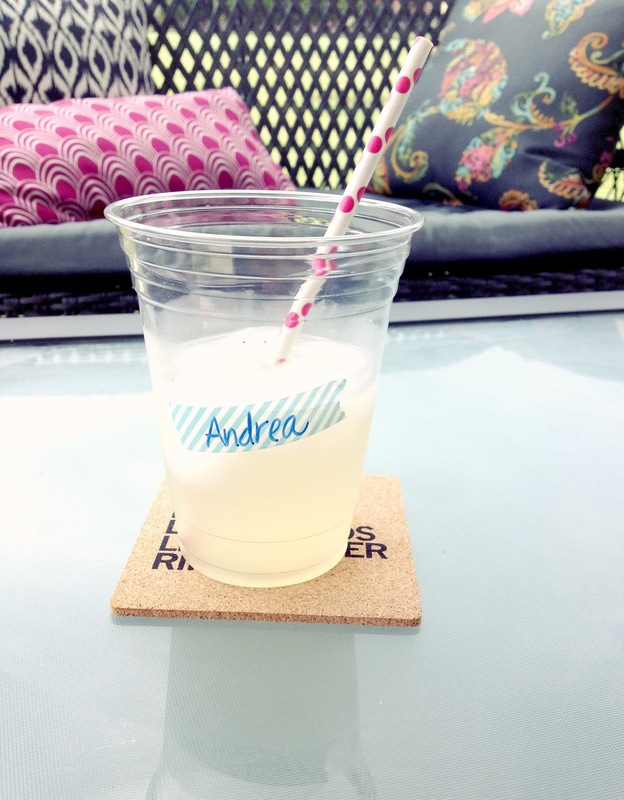 Washi tape name tags and paper straws added a festive touch! Cheers!